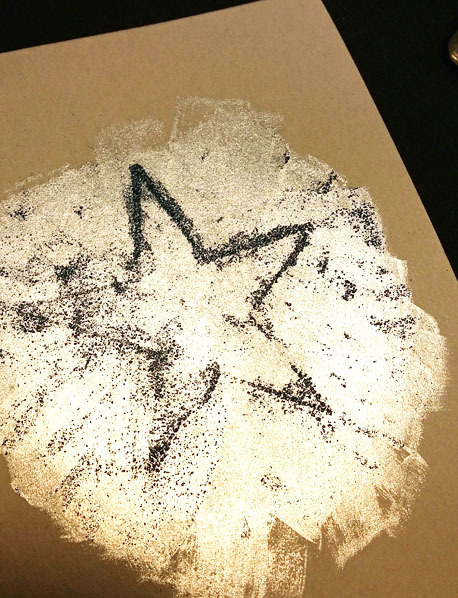 Angie has created a fabulous tutorial for you today! I'm really excited about it, because it's a technique I totally want to learn how to do. 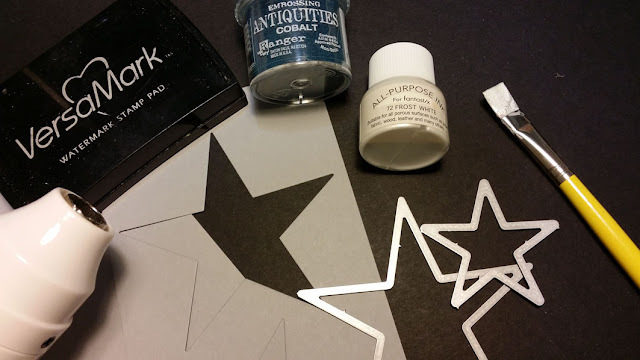 Gather your materials, including some embossing powder and ink (I used Champagne Mist All Purpose Ink by Tsukineko). 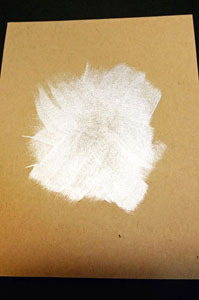 FYI, some of my pictures show gray cardstock and some show khaki cardstock, so you’re not losing your mind, it was me. 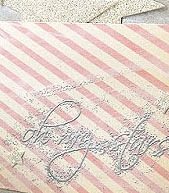 Next, the embossing, yay! 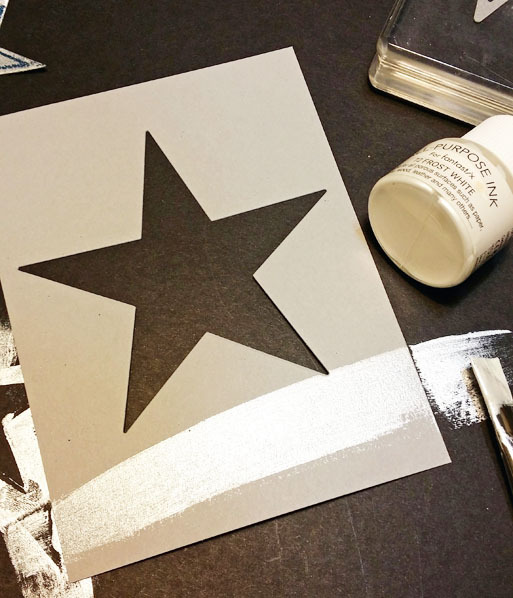 After I die cut the Stars Fri-Dies piece out of my top layer, I laid it over the painted cardstock and stamped the star in the opening. 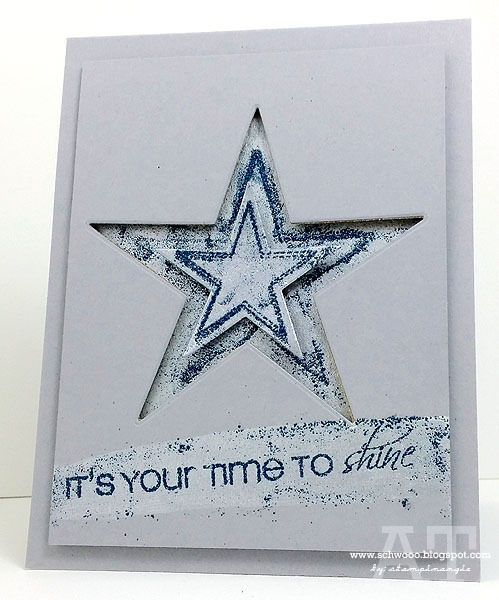 Love how the stamps and dies work together so perfectly! I shook on the embossing powder, then used a dry paint brush to kind of feather it out and remove some to get the look I wanted. 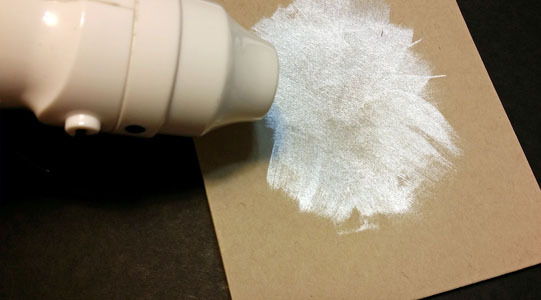 Now you’re ready to emboss it with the heat gun. “banner streak”” on the front of the card. Again, I used a dry paint brush to remove some of the embossing powder and create some streaks before I used the heat gun on it. I'm thinking this is pretty super cool! and I don't know about you, but I'm running to my studio now to try this out! Let's leave Angie some love for this! 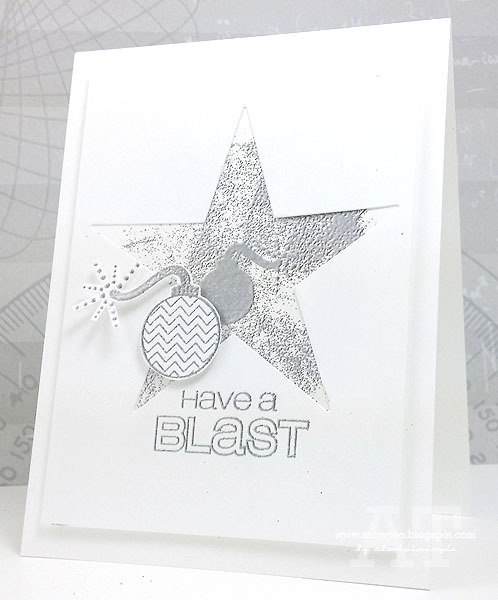 Love all that fun embossing! What a cool and awesome result...I don't know if I can pull this off and make it look this good!! Awesome work, Angie! Awesome and so cool!! 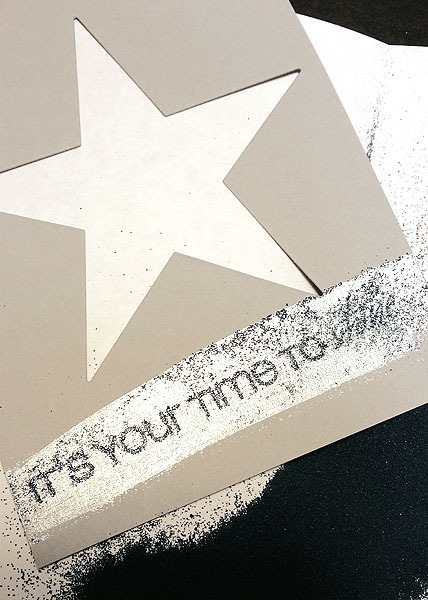 Love any embossing hints! !